This is now available (Release Candidate 3). 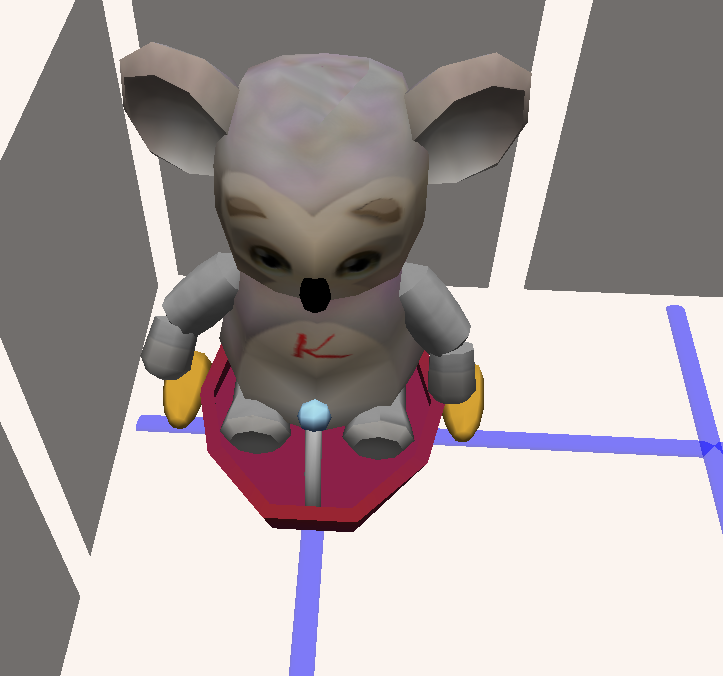 This is a full-featured Karel J Robot simulator that lives within the Alice 3D system. It is available for download. See below. This version now has a World Builder incorporated into the package. 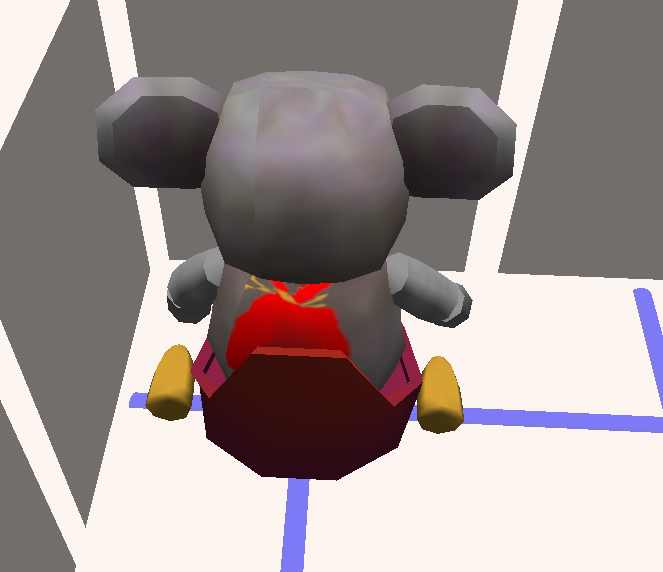 Note that the world builders of other Karel J Robot simulators will work in any case, as the format of kwld files is the same for all versions of Karel J Robot. 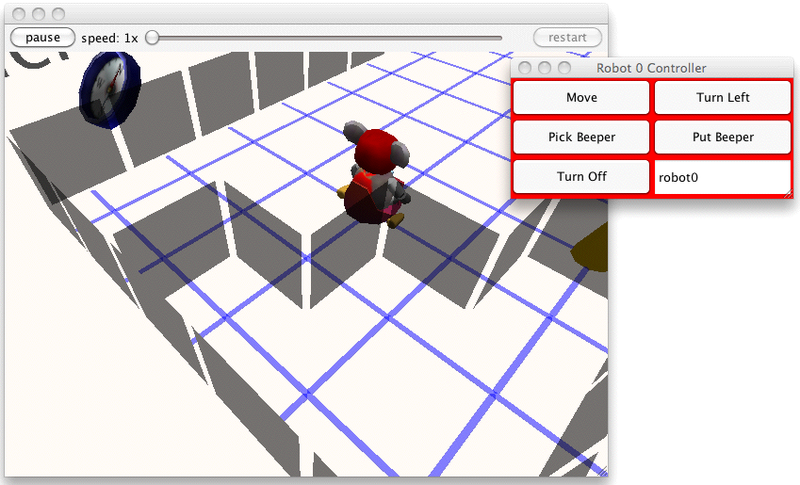 This version also has a RemoteControl class so that you may manually control robots. This version allows the speed of the simulation to be changed under program control or with the up and down arrow keys. It also allows the camera to be zoomed while in operation with the left and right arrow keys. There is a version nearing completion that works with BlueJ. So it will be possible to choose that IDE rather than Eclipse or Netbeans if you prefer. 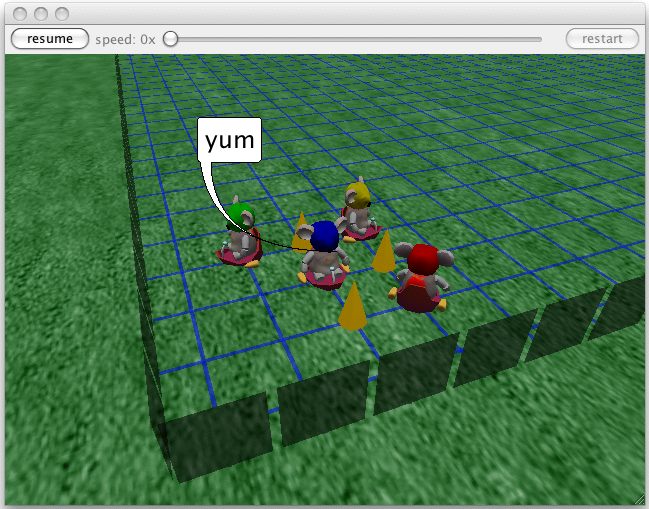 And here is the Dining Robots simulation with four robot "Philosophers". The Blue philosopher is "eating" and enjoys his meal, it seems. Here the background is Alice's normal grassy ground. If you are interested in this please contact J Bergin. It may be downloaded from the Karel-Alice Download Page. To see what is possible here, see the Java Doc files for this system. They are also included in the distribution. Note, however, that the student doesn't work within the normal Alice system. The project is either in Eclipse or in Netbeans (BlueJ coming soon). It is built with Alice 3 technology from Carnegie Mellon University (and is still in beta). This project was begun by Cay Horstmann, who provided the basic framework. 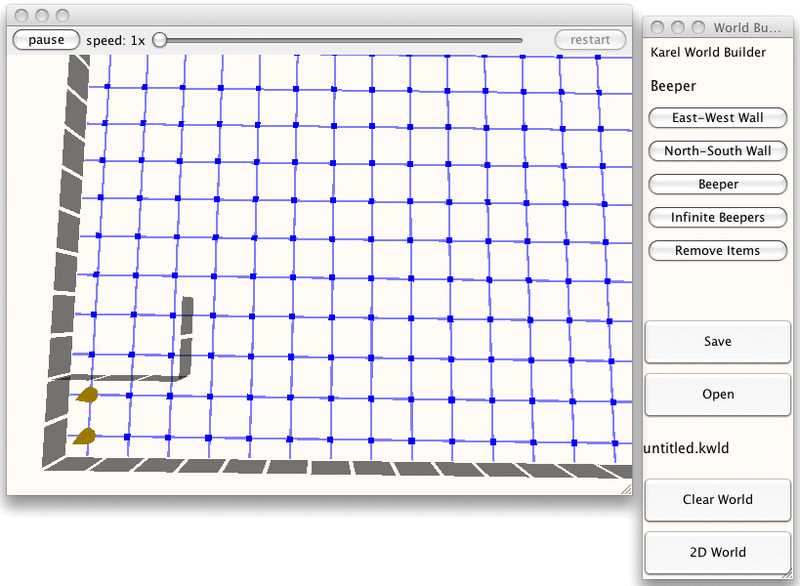 Here is how to use it in Chapter 2 of Karel J Robot. Here is how to use it in Chapter 3 and following, when the students write their own classes. And here is how to run Concurrent Karel programs using the ideas from Chapter 8. 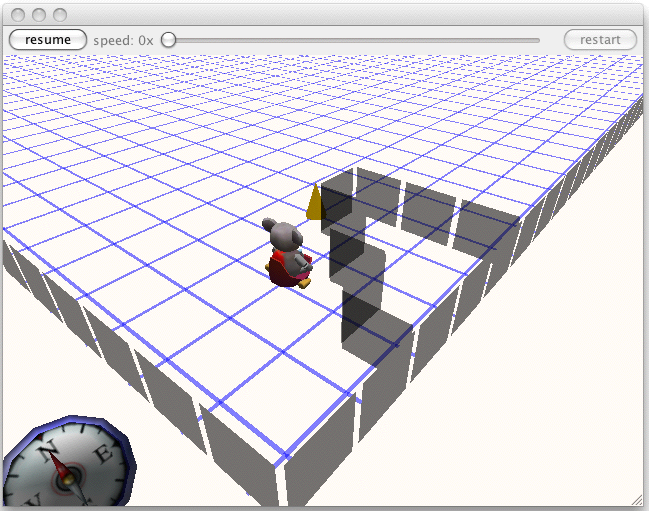 Producing 2D maps of the 3D world. A movie of the philosophers. For another movie of a robot placing 8 queens on a chessboard so that none can attack the others, look here. Few people have seen the new Karel close up. Nor have they seen the beeper bag that Karel always carries. Now you can. (These images will appear in version 6).